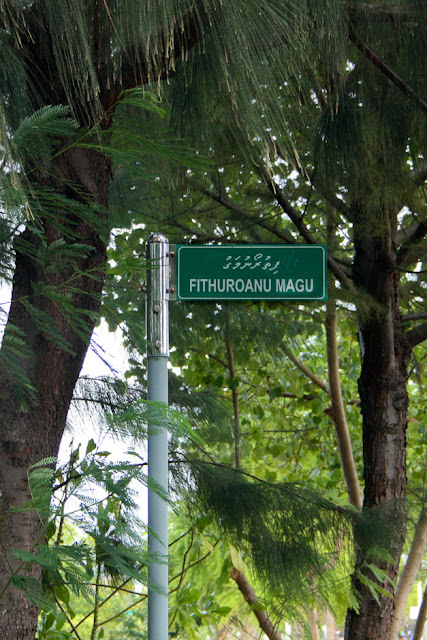 Road sign post in Hulhumalé. A good effort by the Hulhumalé Development corporation on good signage Hulhumalé roadways. If you were really looking for them, you will find them. I wish the signs were a little but bigger and easier to find, though. I do like the the green theme and consistency.